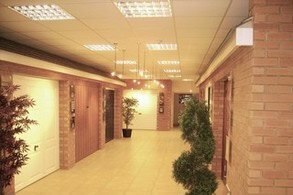 Established in 1990 by the David Medcalf, a chartered engineer, who is still the managing director, we moved to our present 7,000 sq ft premises on the Harris Business Park in Stoke Prior Bromsgrove in August 2008. We created a 3000sq ft showroom at our new premises with a dedicated gate automation displays showing ten different working gate operators. 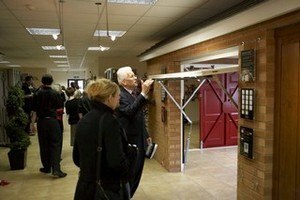 As well as being a long time distributor of market-leading BFT products we also acquired the long established Gate manufacturing business of Parsons Brothers with whom we had had a long relationship as a supplier of Automation and display a number of gate styles in the showroom. 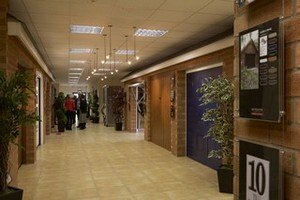 We also display a wide range of physical security products aimed at the commercial market (high quality shutters for internal or external installation and sliding security grilles) and a wide range of domestic garage doors. We undertake installation of all products with our own factory trained fitters and technicians and cover a wide area mainly including the West Midlands conurbation and surrounding counties of Worcestershire, Gloucestershire, Herefordshire, Shropshire, Staffordshire and Warwickshire but are willing to undertake contracts further afield. Please click here to see a list and map of places in which we operate. Weekdays 9.00 – 5.00 p.m.
Saturdays : 10.00 – 1.30 p.m. Please take our virtual showroom tour.